Widget UK, the consumer electronics distributor, has been appointed by 3M to distribute the next generation CP45 Camcorder Projector to UK retailers and resellers. Trade only distributor Widget is to wholesale the product to carefully selected launch partners both in store and on-line. 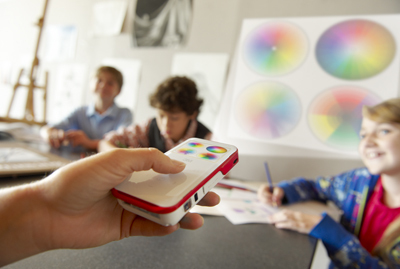 The Camcorder Projector CP45 is the latest product to be launched by 3M’s Mobile Interactive Solutions Division (MISD), which has worked with Widget to distribute previous mobile projectors to UK retailers. “3M is leading the way in its development of the pocket projection product line," said Justin Leigh, Sales & Marketing Manager for 3M’s Mobile Interactive Solutions Division "and with the launch of the 3M Camcorder Projector we are adding to our Pocket Projection portfolio to make this technology appealing to a wider range of users whilst affirming our position as the brand leader in this new technology category. With their experience of working with CE brands, in particular to drive the MMC (MultiMedia Camcorder) category, access to exciting retail partners and collaborative market approach, 3M believes Widget can help us achieve this aim." The Camcorder Projector CP45 is a mini mobile projector and digital camera unit that makes it easy to shoot and share stunning HD videos and photos at the touch of a button. It blends the award-winning 3M mobile projection technology with a digital camera capable of capturing HD video and 5MP still images. Measuring 4.9”L x 24”W x .94”H and weighing 6.7oz, it is small and light enough to fit in a pocket or hand bag. It is also powerful and bright enough to project up to 65-inch, high-quality images instantly on virtually any flat surface – a ceiling, a wall or even a T-shirt, for example. With the increased accessibility it is now easier than ever to capture funny, touching and memorable moments wherever we go. Most mobile phones offer embedded still and video cameras. However, huddling around a small screen, dealing with glare and short battery life can really diminish the fun of sharing. The Camcorder Projector CP45 has an incredibly user-friendly interface and a battery life of one and a half hours – enough to shoot and project up to 1,000 still photos or 25 minutes of video from its 2GB internal memory. Additional memory can be added via the MicroSD card slot (up to 32GB). It also features a built-in speaker and microphone. Simple connection via USB also allows users to quickly download captured content to share on their favourite devices. Widget UK Ltd distributes a tightly focussed range of products from manufacturers such as TomTom, Cisco and Orbitsound. Widget UK Ltd sells only to trade, and not directly to the public. Its customers are UK retailers and resellers, including Dixons Retail, Tesco, Maplin, Comet, Amazon.co.uk, Dabs.com, Play.com, QVC, Ideal Shopping Direct, Computacenter and SCC. For press contact email mark.needham[at]widget.co.uk. This press release was distributed by ResponseSource Press Release Wire on behalf of Widget UK in the following categories: Consumer Technology, for more information visit https://pressreleasewire.responsesource.com/about.